The European Commission is organising a two day meeting from 27 to 28 November 2018, sharing valuable insights from top EU experts on progress with rearing pigs with intact tails and thus improving their welfare. The meeting, which will take place at the Commission’s Health and Food audit and analysis Directorate in Ireland, will be available via web streaming (see web-links below). The topics presented are especially of interest for industry stakeholders, authorities in EU Member States, researchers, and NGOs interested in the welfare of pigs, as they focus on ongoing work to improve rearing conditions on farms to assist in the phasing out of routine tail-docking of pigs and managing the risk factors relating to tail biting. The group of expert speakers include pig farmers and industry representative organisations, EU Member State competent authorities, research bodies, NGOs and EU institutions. Discussions will focus on what has been done, and what remains to be done, to get better solutions for the future. The work of the newly created EU Reference Centre for Animal Welfare, focussing initially on pigs, will also be presented at this meeting. A more detailed agenda will be uploaded once all speakers have been confirmed. 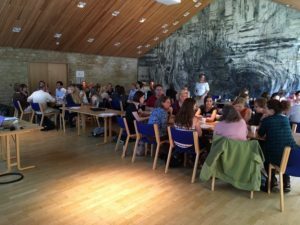 August 7, 2017 a very nice one-day meeting was held in Aarhus (DK) to discuss feather pecking in laying hens and tail biting in pigs. 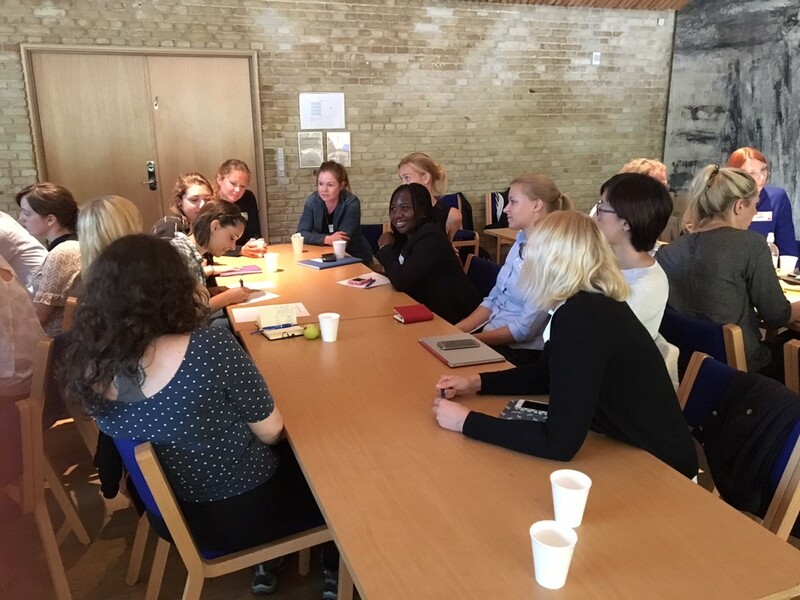 The meeting was a joint initiative of FareWellDock and GroupHouseNet. 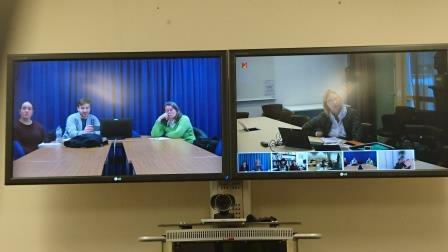 A Skype4business connection made it possible for about 10 external participants to join the meeting in addition to the 60 delegates present in person. ≥Mirjam Holinger: Does chronic intermittent stress increase tail and ear manipulation in pigs? ≥Irene Camerlink: The crooked mind of the commercial pig: can we rectify abnormal biting behaviour by early and later life conditions? About 50 studies link (in-)adequate foraging to injurious feather pecking in poultry (Jo Edgar). Study: Lots of ear biting on Irish pig farms, up to 50% of pigs; Follow up: Antibiotic use may play a role (both causing & treating) (Laura Boyle). Feather pecking appears to be linked to keel bone damage (Anja Brinch Riber). Feather pecking is associated with elevated specific immune response (Jerine van der Eijk). 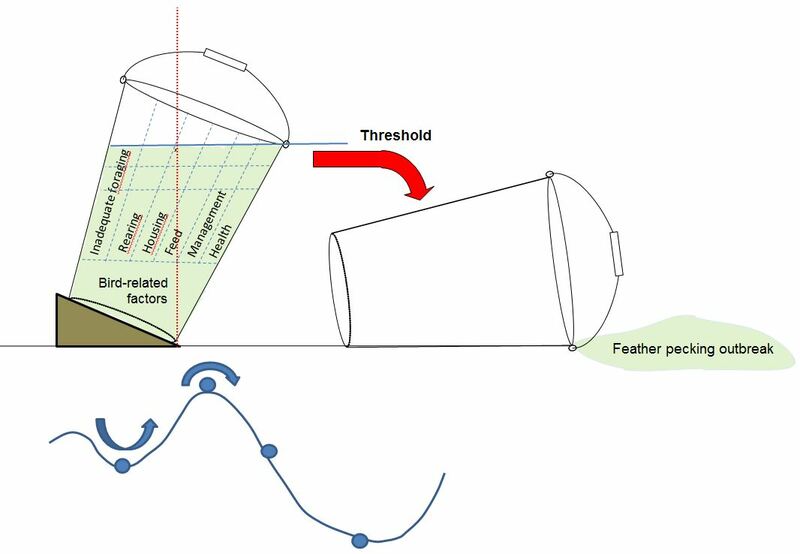 Tipping bucket model of feather pecking (modified after Bracke et al. 2012 model for tail biting). ERA-NET SusAn – Sustainable Animal Production. ERA-NET SusPigSys – Developing a tool to help farmers find a balance between economic, societal and environmental concerns. The European Commission, DG Sante project aims to improve animal welfare around transport. The project will develop and disseminate Guides to Good and Best Practice for animals transported within Europe and to third countries for slaughter, fattening and breeding. Guides will be developed for cattle, horses, pigs, poultry and sheep transport. The project started in May 2015 and will finish by the end of 2018. See the project website for more information (e.g. guides, factsheets and roadshows; available in 8 languages: English, German, French, Greek, Romanian, Polish, Spanish and Italian). You can also sign up for the newsletter of the Animal Transport Guidelines project. Tail biting constitutes a major welfare and health issue in commercial pig rearing, with significant negative economic consequences. Contrary to the aim of the EU directive (2001/93/EC), tail docking is still widely practiced in most EU countries as a measure to reduce the incidence of tail biting and concomitant pathologies. Mutilations are a general welfare concern in all species, and any efforts towards reducing the need for tail docking are important for the future sustainability of the EU pig sector. Sound policy making needs science-based risk assessment, including assessment of the severity of problems and effectiveness of solutions. The general objectives of the FareWellDock-project included estimation of the relative harms associated with tail docking and tail biting, and evaluation of the efficacy of some main preventive measures against tail biting, which could reduce the need for tail docking. The ultimate aim was to stimulate the development towards a non-docking policy in the EU. The first objective of WP1 was to evaluate measures of acute and chronic pain in relation to tail damage. This included assessment of the short (acute trauma), medium (post trauma inflammation) and long term (traumatic neuroma formation) pain associated with tail docking in neonatal piglets, and the possible consequences for longer term fear of humans. In addition, the studies assessed the effects of tail-damage in more mature pigs to provide a basis for assessing the pain associated with being tail bitten in later life. Finally, studies were conducted to assess the effects of an NSAID analgesic on the short term responses to neonatal tail docking. Experimental studies confirmed that piglets do experience pain when tail docked, and that pain relief treatment, such as meloxicam, can lessen but not abolish the physiological stress reaction to docking. Piglets which have been tail docked seem more fearful of people afterwards than undocked animals. In docked tails, no difference in pain sensitivity of the tail (as measured by behavioural withdrawal) is detected after 8 weeks, but changes in the functioning of the sensory nerves from the tail can still be measured after 4 months, which suggests that the possibility for longer term pain exists. When the tail is damaged later in life, as happens with tail biting, changes in both tail stump sensitivity and nerve functioning can last for at least 4 months, and possibly beyond. WP2 focused on the role of manipulable material when reducing the need for tail docking. The aim was to develop and validate ways to assess if on-farm use of manipulable material is sufficient to reduce tail biting. Further, the aim was to describe suitable methods for implementing the use of straw under commercial farming conditions and to investigate, in on-farm conditions, the efficiency of tail docking vs. enrichment given in sufficient quantity to reduce the occurrence of tail lesions. A screening method to assess the appropriateness of the level of enrichment on-farm was developed and includes scoring of the amount of unsoiled straw, the behaviour, and ear, tail and flank lesions of the pigs. AMI (animal-material interaction) sensors were used e.g. to show that pigs in biter pens were more interested in novel ropes than pigs in control pens, that environmental enrichment may reduce exploratory behaviour of point-source objects, and that sick pigs, experimentally infected with streptococcus spp, were less interested in chain manipulation. The sensors appear to be a promising tool to assess the use of manipulable material by pigs. In countries (SE and FI) where tail docking is not done, farmers report using on average of 30 to 50 g of straw/pig/ day, equivalent to about 0.5 L/pig/day. A survey in SE revealed fewer injurious tail biting outbreaks on farms using larger amounts of straw. Larger amounts of straw were mainly used on farms having scrapers in the slurry channels. A large experimental study showed that a moderate amount of straw (150 gr/pig/day) reduced injurious tail-biting outbreak in finisher pigs by more than 50%, while docking seemed to be more effective as it reduced tail biting by more than four-fold. The effect of both measures was additive, i.e. docking and straw reduced tail biting 9 fold. Further, it was shown that increasing the amount of straw from 10 to up to 400 gr/pig/day had multiple positive effects by progressively reducing the occurrence of tail injuries and stomach ulcers, increasing growth rate, increasing straw-directed behaviour, and reducing redirected behaviours towards other pigs. In WP3 the aim was to clarify the role of poor health in the causation of tail biting and victimization, and the aim was study early identification of tail-biting outbreaks. In addition, the aim to develop automated systems for early warning of tail biting outbreaks. The results of experimental and on-farm studies showed that the social behaviour of sick pigs differs from healthy pen mates, as pigs with osteochondrosis received more sniffing and tail bites from their pen mates than healthy pigs, while pigs with mild respiratory disease tended to bite more at the ears and tails of pen mates than healthy pigs did. In addition, studies of cytokines suggest that low-grade inflammation may decrease activity and increase receiving sniffs and attacks from other pigs. Studies on data sets from commercial pig farms indicated that changes in feeding behaviour may be an important sign of an increased risk for tail biting to occur: Future tail bitten individuals showed a reduced feed intake already 2-3 weeks before tail damage became evident. Furthermore, feeding behaviour in groups which develop tail biting may differ from non-biting groups for at least ten weeks prior to an injurious tail-biting outbreak. It was also shown that tail-chewing activity may start 2-3 weeks before tail damage can be seen. A detailed behavioural study of tail biting events revealed that there appears to be no such thing as a ‘typical’ tail-biting event and that the behaviour shown immediately before a tail-biting event does not differ from behaviour prior to another type of social interaction, namely ano-genital sniffing. Thus, it seems difficult to predict if a social event will escalate into tail biting or not. However, tail biting is more likely between pigs that have previously interacted. Data sets from several countries and studies indicated an association between tail-biting damage and tear staining, but the direction of this association is not clear. Avoid tail docking whenever possible because it definitely causes pain, induces long-term changes in sensory-nerve function and may impair the pigs’ confidence in humans. Avoid tail biting, and hence the need for tail docking, by addressing risk factors on the farm. Treat tail-bitten pigs promptly and consider pain relief. To reduce injurious tail-biting outbreaks, use straw as it might be almost as effective as tail docking. For this purpose, the more straw the better. To ensure that sufficient straw is allocated check that there is left-over straw before the next day’s allocation. Keep your pigs healthy. This will be good both for productivity and also help avoid injurious tail-biting outbreaks. If pigs show signs of illness, be more alert to tail biting risk. Remove tail-bitten pigs promptly to avoid further damage and treat according to veterinary advice. Information on project activities and publications have been continuously published on the FareWellDock-webpage. To date, 16 scientific articles have been published, and 9 are in preparation. Communication to stakeholders has been active, both through the FareWellDock-webpage, including 97 blog posts, and by interviews in media in different countries, popular articles and presentations at producer seminars. In October 2016 the results were presented widely at the EU level to policy makers and other stakeholders at the ‘Meeting and Webinar on Actions to Prevent Tail biting and Reduce Tail docking of Pigs’, organized by the European Commission Directorate General for Health and Food Safety in Grange, Ireland. Due to the positive experience of the cooperation a decision was made at the last project meeting in DK in October 2016 that we will continue our cooperation as the FareWellDock-network, also inviting further researchers and stakeholders to join. The first activity of the FWD-network will be to organise a satellite meeting at the Congress of the International Society for Applied Ethology in August 2017 in DK, and to launch an emailing list to make sure FWD-network members and other researchers keep updated on research progress and related topics. 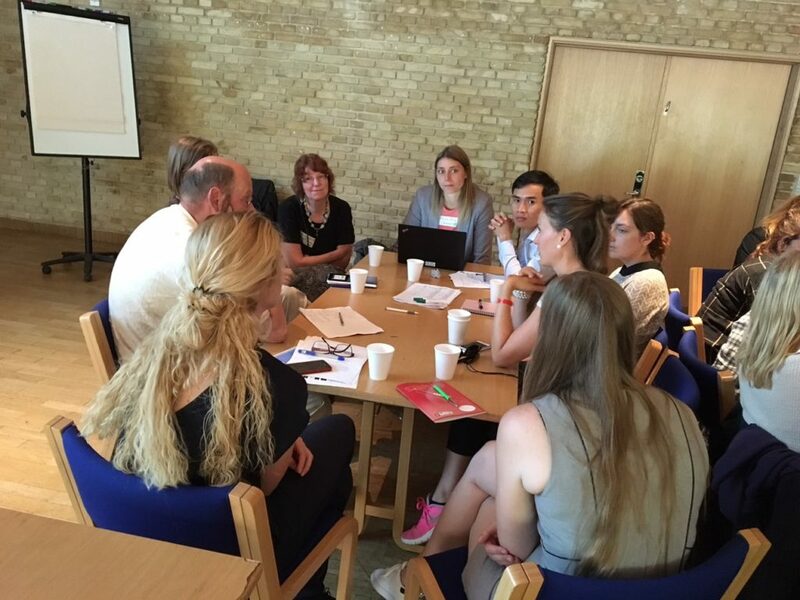 A one-day meeting, organized jointly by the FareWellDock – Network and the GroupHouseNet COST-action aims to bring together researchers working within the field of damaging behaviour in both pigs and poultry. By joining efforts on an interspecies level, we have the opportunity to greatly enhance the understanding of the mechanisms underlying tail biting and feather pecking. Both behaviours are challenging, from an animal welfare and from an economic point-of-view, while in several countries, as well as at the EU level, the ethical justification of tail docking and beak trimming is currently being debated. This full-day meeting will be held at the ISAE 2017 congress venue on August 7th, 2017, starting at 9am. Both themes will be introduced by invited experts, followed by short research presentations by participants, and then elaborated on in inter-species discussion groups. In addition, the program will include a networking session, with the aim to facilitate knowledge exchange and future cooperation between researchers working on damaging behaviour in pigs and poultry. The registration for the meeting will open by the end of February 2017, and will be open until May 15th, 2017. The meeting participation is limited to 80 persons, so make sure to register in time! For further information, please contact anna . valros [AT] helsinki . fi. FareWellDock’s final project meeting was a videoconference call dd Januari 16, 2017. The meeting was used to fine-tune final deliverables, esp. the factsheets and final report for ANIHWA. We decided to add local contacts to the translated factsheets, and to use the executive summary later to inform farm magazines about the FareWellDock results. We also briefly discussed initiatives concerning the follow-up of the project, in particular the farewelldock network and the first post-project meeting. This meeting is scheduled as a satellite meeting to the ISAE meeting in Aarhus on Aug 7, 2017. It will be a joint meeting with the GroupHouseNet project, and we are looking for sponsors to support the meeting, which will discuss mechanisms underlying tail biting in pigs and feather pecking in poultry, as well as aspects of early development of these abnormal behaviours. Information about current tail biting projects in Germany can be found in an excel sheet which can be downloaded here from the Friedrich-Loeffler-Institut (FLI) homepage. 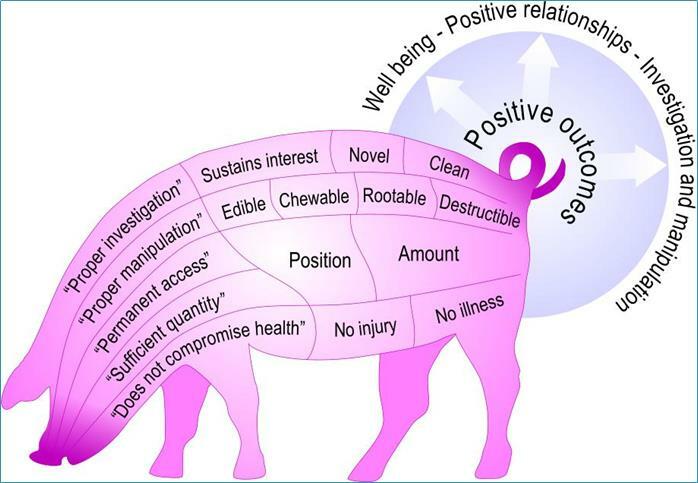 The German tail biting projects have been summarised in the review “Tail docking in pigs – status quo in Germany”. If you are interested in this article please contact Sabine Dippel (sabine . dippel @ fli . de). In order to improve knowledge exchange across borders, the FLI is looking for further information about tail and ear biting projects in other countries. If you are or have been involved in such projects, please download the excel list, enter your data on the sheet “other countries” and send the updated file to Christina Veit (Christina . veit @ fli . de). In the near future it is planned to set up a public online database into which information from the Excel list will be transferred. 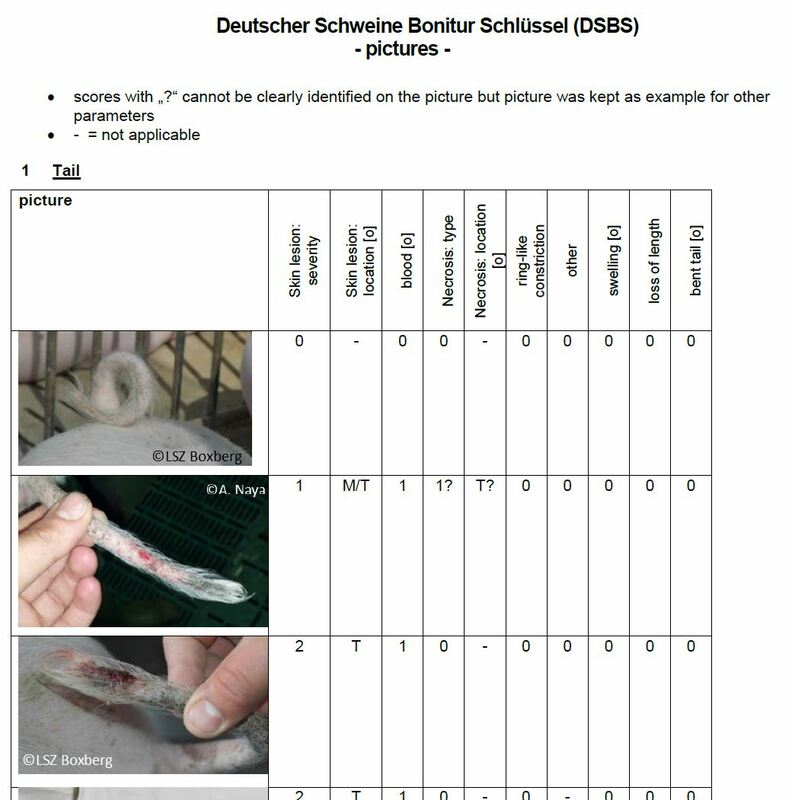 One of the outcomes from German research activities about tail biting is a scoring key for pigs agreed on by the various people involved across Germany: the DSBS. The scoring key for tail and ear lesions including pictures can be downloaded here (see screenshot below). Click this link to access the EUWelNet Training Tool on pig enrichment and tail docking. Hothersall, B., Whistance, L., Zedlacher, H., Algers, B., Andersson, E., Bracke, M., Courboulay, V., Ferrari, P., Leeb, C., Mullan, S., Nowicki, J., Meunier-Salaun, M-C., Schwarz, T., Stadig, L. & Main, D. 2016 Standardising the assessment of environmental enrichment and tail-docking legal requirements for finishing pigs in Europe. Animal Welfare 25:499-509. An online training package providing a concise synthesis of the scientific data underpinning EU legislation on enrichment and taildocking of pigs was produced in seven languages, with the aim of improving consistency of professional judgements regarding legislation compliance on farms. In total, 158 participants who were official inspectors, certification scheme assessors and advisors from 16 EU countries completed an initial test and an online training package. Control group participants completed a second identical test before, and Training group participants after, viewing the training. In Section 1 of the test participants rated the importance of modifying environmental enrichment defined in nine scenarios from 1 (not important) to 10 (very important). Training significantly increased participants’ overall perception of the need for change. Participants then rated nine risk factors for tail-biting from 1 (no risk) to 10 (high risk). After training scores were better correlated with risk rankings already described by scientists. Scenarios relating to tail-docking and management were then described. Training significantly increased the proportion of respondents correctly identifying that a farm without tail lesions should stop tail-docking. Finally, participants rated the importance of modifying enrichment in three further scenarios. Training increased ratings in all three. The pattern of results indicated that participants’ roles influenced scores but overall the training improved: i) recognition of enrichments that, by virtue of their type or use by pigs, may be insufficient to achieve legislation compliance; ii) knowledge on risk factors for tail-biting; and iii) recognition of when routine tail-docking was occurring. Note that the training tool is being used in Poland to train animal science students, farm assurance in the UK has shown recent interest in using the tool, and the Austrian pig health service is compiling a brochure based on EUWelNet on tail biting/enrichment material.